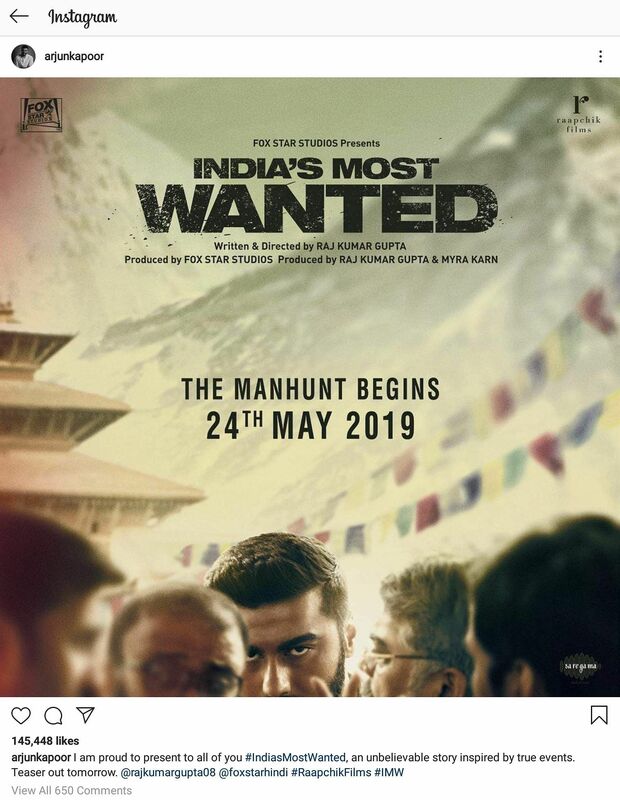 The actor’s post garnered interesting reactions from other Bollywood stars. While Parineeti Chopra joked, “Face nahi dikh raha. Best (sic)”, Farah Khan encouraged the actor with, “Can't wait!! All the best Arjun,”. Malaika Arora, on the other hand, responded with a fire emoji. Varun Dhawan, Abhishek Bachchan, Bhumi Pednekar and Sanjay Kapoor were among many in the industry who commented. The star also shared the poster on Twitter along with writer and director, Raj Kumar Gupta. The film is set to hit the theatre on May 24. Hot topic! Malaika Arora and Arjun Kapoor to tie the knot this April?